Discussion in 'Skins' started by Rey D, Apr 9, 2012. Swap the Peahat and Keese and I'd say it would be perfect for another LoZ Skin Set. EDIT:Also, because of BS Zelda, we could also have a 16-bit Zelda skin set as well, which would go well with the 16-bit Link skins. I chose Keese because they're bats and not at all aquatic. If there's another enemy that can be used for the underwater Cheep Cheeps, changing the air version to a Peahat would work fine as well. And 16-bit would be epic! I forgot about those. 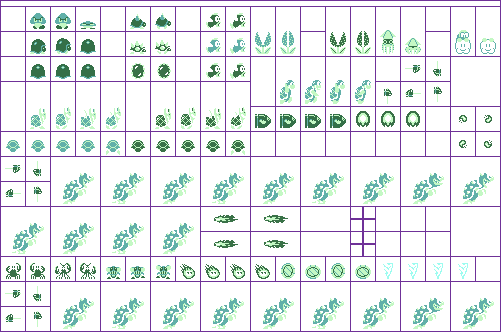 The collection of palettes for each level (in order) can be found here. Alkerion, Nat, Develon and 2 others like this. That's awesome! All you need to do now is make Mario and Luigi skins. Yeah... absolutely uncertain on how this should go for the big sprites. Alkerion and Mitewing like this. I like it. It looks like it can double for both Mario and the actual generic "Bros" character. MissingNo2 and Mariofan5000 like this. Well... this took a lot less time then I thought it would. Luigi color's in the princess box. DarkBowser007, Mitewing, Nat and 3 others like this. Yeah, the castle tiles are wrong, if someone could help me out here it would be greatly appreciated! 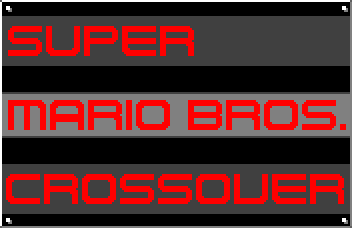 Tried to make the logo look like NES Remix's logo. It might not fit, though, so if I should change it to a simple ice recolor, just tell me. Map skin still in progress. Kept the power-ups the same except the star and the flower since they were purple for some reason... Weird. Not sure if I should change the fireworks. Or the Red Coins. Or the lava. Also, I forgot that credit for the original tiles goes to SuperJustinBros., as I got them from here. Develon, Faruga, Alkerion and 2 others like this. Why not just make an NES Remix map skin in general? Like Donkey Kong as the False Bowser and whatnot? Mitewing and Mariofan5000 like this. @silentshadowxp made a similar skin set with Mario prequel games. Also I had the idea of combining the original release NES games into one set. NES Remix is a great way to combine all of these ideas into a Skin Set that's a legitimate Nintendo release. Well, this one probably has a better chance getting in (it IS official, for the most part) and is easier to make, since it was made for Super Mario Bros.
And plus, you can make a NES Remix skin without effecting this one anyways. This is just a small part of NES Remix, based off one of the missions in the game, if you want to make one for NES Remix as a whole then that's a different thing entirely. I would actually love to see that, so go ahead, I might even help out. Just a reminder for those who want to do it though: You have to include all the games in it. Also, there are plenty of mash-up skins out there, so tread lightly with this one. I recommend looking at the Mario Arcade set on the Wiki for inspiration. All the games in the skin set are found in NES Remix. A few things could be changed to characters/items from non Mario games if they fit better. Plus this would make more themes possible like Ice Climbers, the Ice themed SMB levels, and whatever else is in Remix. The POW Block should have "?" on it, and the Bomb is called "dynamite" in NES Remix. Just saying. That's all fine. But the "dynamite" looks like a bomb though. I'm gonna make minor additions to the list. I just hope the Excitebiker can replace that Cheep Cheep! The biggest problem with this is that it's more "A bunch of NES that isn't Mario" than anything. You need to balance it out with NES and Mario since Mario is the base game. For instance, at least keep the Goombas as Goombas. That's fine. Goombas can still be Goombas. And maybe the Koopa Troopas, too. I just thought Mario had enough representation from the Donkey Kong games, Mario Bros, and Wrecking Crew. I personally feel that if it's represented in NES Remix in some form [like Lakitu in the iced-over 4-1] it should be in. If it isn't present, then it's a maybe. EDIT Have a better title screen. I see your point. A couple SMB characters could be in it. I only chose games found in NES Remix. Most, if not all enemies, should be in the game. EDIT: However, having too many SMB enemies defeats the purpose of this skin. Great Title Screen you made!